I often create designs that I need to bring to a laser cutter. To save time and material, I pack repeated shapes as close as possible. 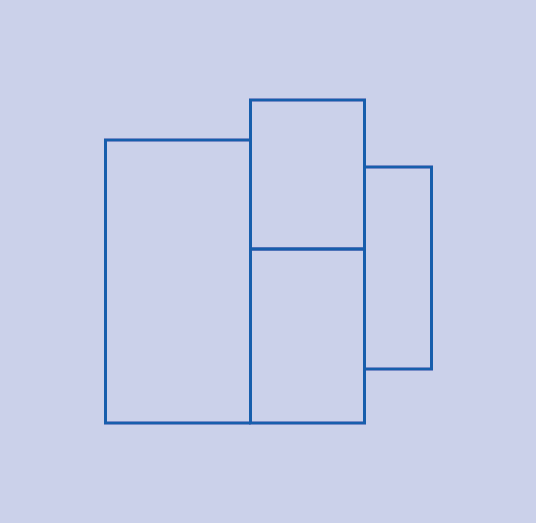 The ideal scenario is that shapes share a single line where possible; for example, two (or more) squares put adjacent so that they share a common side. The problem with simply aligning the squares to be adjacent is that two path still exist in the overlap, and the laser will pass through that area twice. This double cut wastes time and reheats the material in that area. For this simple example, I could manually draw a long rectangle and divide it evenly into squares with single lines, but this becomes much more difficult with even slightly more complex shapes. Is there an automatic method to merge overlapping paths into a single path? The similar questions I've seen here about this involve merging paths that overlap entirely vs paths that share an adjacent side or sides. I don't believe that there's an automatic way of doing it. How would the computer know which shapes you want combined and which you don't? As an alternative, you can use pathfinder. Go to: Window → Pathfinder (Command/Ctrl+Shift+F9) and use Merge option from pathfinder. 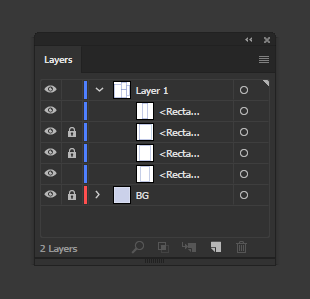 Illustrator has no method to remove overlapping paths which I'm aware of. It takes manual deletion of any overlapped path in all instances since two shapes can't "share" a common path segment in terms of construction. Pathfinder/Shape Builder are also generally no help with this either. They are both geared more towards creating/removing individual objects, not recognizing overlapping paths. They will both generate the same path overlaps you get from manual construction when they deem it necessary. All you can really do is create objects differently. For example, create a primary outer shape, then manually draw interior division as separate, single paths. In the case of entire shapes overlapping path, then Shape Builder may be of use. 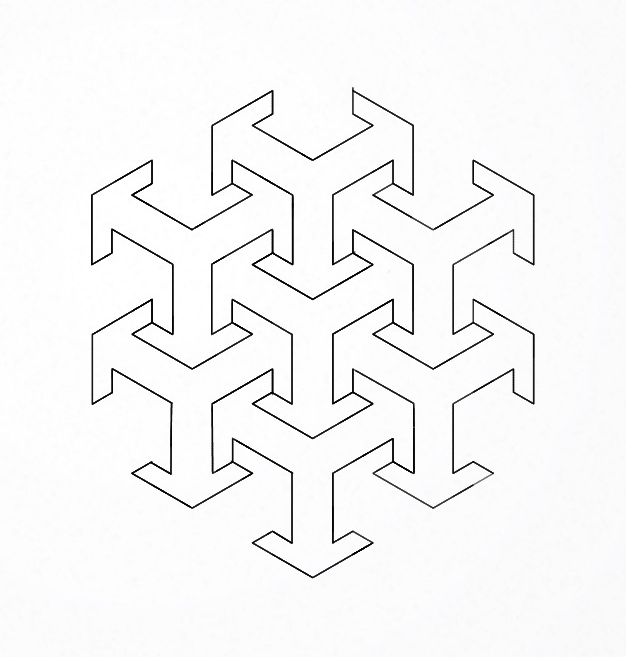 But it'll still fail miserably for just paths which overlap due to adjacent shapes. Just use the Direct Selection (White Arrow) Tool to select the overlapped paths and delete them. Select all the shapes and click it. the line color will disapear so you'll need to color them again but this works for me. To remove overlapping path lines, select the overlapping lines with the direct selection tool. Then select cut path icon from control menu bar. Click on white space...then click on the cut lines and drag, one of the 2 overlapping lines will move.Select the separated line and its endpoint anchors and hit delete. Takes a few minutes but does the job of optimizing overlapping parallel lines that share anchor endpoints to reduce laser passes and double cutting the material. Depending on the graphic, I've had some success exporting it as a very high-quality jpeg, then opening it in Illustrator, and using the images trace tool to make new paths. This is an decent method for patterns and such. Use pathfinder and click on "outline". It removes automatically all overlapping paths and you have an outline without color,so resign a color for your outline. Select all the paths and with appearance panel radius opacity on 40% and dedicate a larger stroke weight, so you can see all overlapping lines for correct them. At the end of process you can adjust the opacity to 100% and the stroke weight. Not the answer you're looking for? Browse other questions tagged adobe-illustrator vector laser-cutting or ask your own question. SVG for Web — possible to use clipping via CSS without a clipPath?